Marketing service not moving forward? 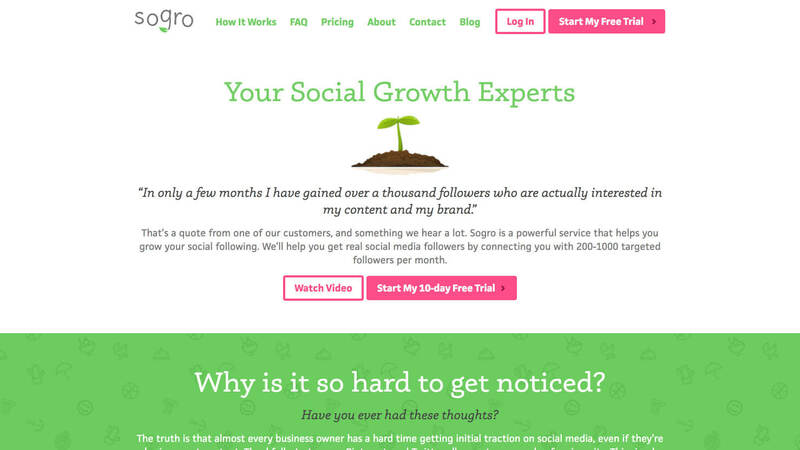 Sogro is a marketing service run by Aaron Irmas of Santa Monica, California. 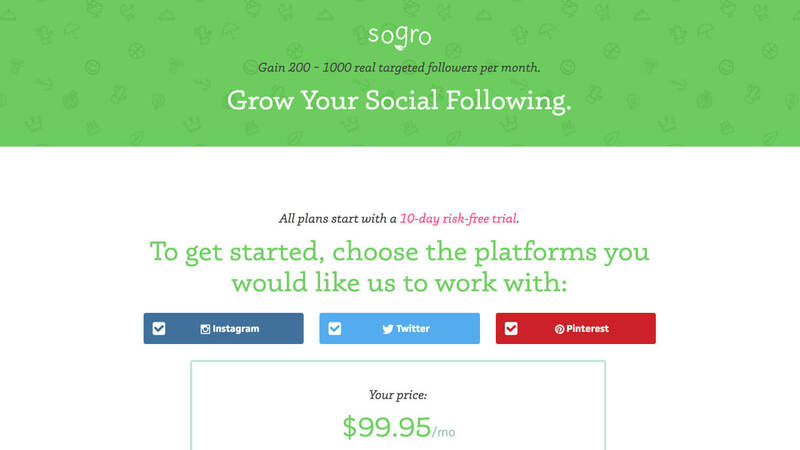 Sogro helps companies get more followers and fans by connecting people through hashtags. Sogro was beginning to feel held back by its website design. They wanted to redesign to have the website feel friendly, simple and professional. Because of the goal to look more professional, the way I approached this challenge was to first focus on the look & feel of the website. To do this, we iterated through 3 potential personality directions for the brand. After deciding on a personality, we moved onto creating content that inspired confidence funneled people to the sales page. The Pricing page was important because it doubled as a signup page. I created an interactive package generator that dynamically adjusted the price based on the number of accounts and whether the customer wanted monthly or annual pricing, so it was clear to see what they were getting. Below the price was a list of features included in every account. Because most of Sogro’s visitors arrived from mobile, I tested this page extensively on phones. Before launching the redesign, Aaron decided to raise his price 33% based on how confident he was in the new brand. Remarkably, shortly after launch, Sogro’s conversion rate also raised from 4% to 10%, resulting in higher MRR for the company.